Received these 2 pictures from my local Jaguar club president. One of the member in our club has an XJ220 (among others) and he brought his back to UK for the XJ220 reunion at Bloxham. 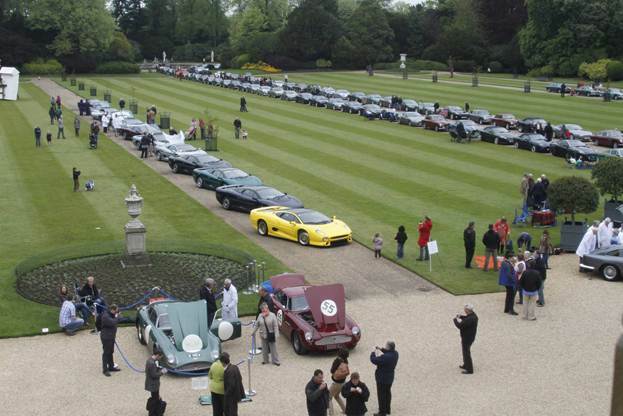 These cars were then invited to the Aston Martin Concours on a nearby castle as a special car class invitation. And guess what? I think these XJ220s ended up stealing the show! I wonder if we had any members there? XF or Play it Safe? New to forum and F-Type - Aston DB 10 look alike?